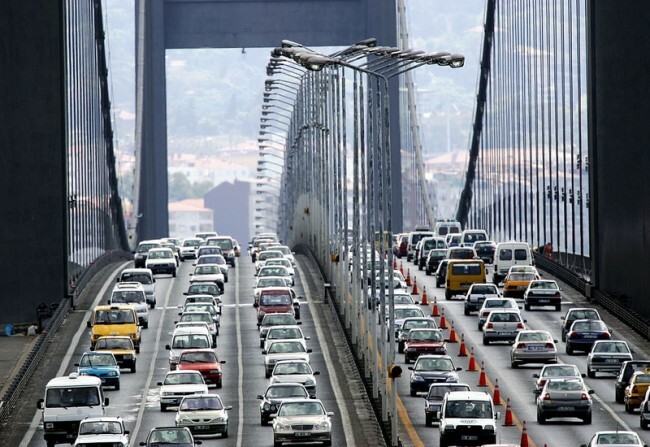 Having spent a long time in Canada’s Toronto and now living on the Asian Side of Istanbul, EDNZ knows that crossing the bridge can be a hassle. Here’s his selection for our MUSIC FOR TRAFFIC series. Very well produced and great attention to detail creates such a trip. This is one of the few tunes out there that touches my soul deeply. This is one of the most important Soma Records’ releases for me, came out in 2006. I love the unfolding story this piece of music tells. On of the tracks that made Roberto Rodriguez. Again, this track sits in my classics folder, never gets old. I believe its really challenging to find new music nowadays that can keep its potential of staying fresh, it’s cause the industry is so saturated. Minilogue’s recording techniques enables them to apply the human feel/touch to their groove, which sets them apart from other producers who solely depend on the infamous swing abilities of drum machines. EDNZ plays EDHID’s DOGMATIC NIGHT at MiniMüzikhol on Thursday, 5th March 2015.